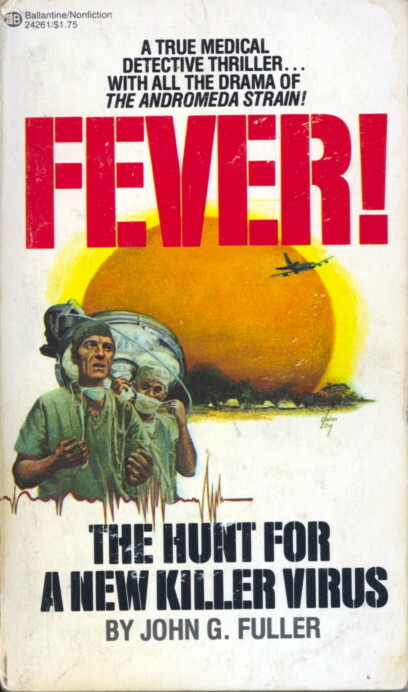 Buy a used copy of ‘Fever!’ at Amazon. Science podcast pick of the week: The Naked Scientists (iTunes link). Hope you enjoy 'Fever!'. The first of the genre. Science podcast -> Futures in Biotech, second only to TWIV! I have noticed that also. They do get a lot of good guests though. So many strange viruses in the world.. I caught a strange virus in Asia once.. I just got Fever! from the library and it was great. Couldn't put it down. Didn't quite have the ending I'd envisioned–“and then a vaccine was developed, they eventually managed to inoculate everyone, and they all lived happily ever after.” But a great read, and makes me hungry for more. Now to trawl through the various show notes for more book recommendations. Glad you liked it. 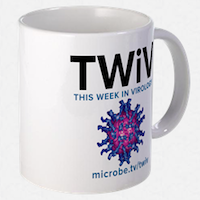 To help your trawling, see http://www.twiv.tv/weekly-picks/.